While the Gracie Academy is internationally famous for the quality of its group classes, some people prefer to start with private training. Private classes enable the instructor to teach the lessons in the order that will optimize learning and to adapt techniques to suit an individual’s strengths and weaknesses. Each private lesson begins with a review of previously learned techniques, followed by the introduction of 2-3 new techniques. Once you fully understand the new techniques, the instructor will show you how to combine them with previously learned techniques in a series of Reflex Development Drills. This process continues until you have mastered all the techniques in the module. The order in which you learn the techniques greatly affects the time it takes you to master the art. In private lessons, your instructor will present the techniques in a carefully pre-determined sequence that will most efficiently develop your reflexes and build your confidence. The only way to reduce the amount of time it takes to master Gracie Jiu-Jitsu is to set specific training/technical goals in each phase of the journey based on your strengths and weaknesses. Private training enables your instructor to help you assess your ability and develop a personalized plan to take you efficiently to the next level! Due to the pace of group instruction, it’s possible to miss technical details during the presentation. Moreover, two weeks or more could pass before the class recycles and you get a second chance to learn the technique. In private lessons, your personal instructor will pace the instruction according to your skills and needs, so you will never feel confused or overwhelmed. In a group class, it’s simply impossible for the instructor to focus totally on one student, so you must rely on your training partners to help you learn the techniques. In private lessons, your instructor is your partner for every technique, so they can physically feel all of your movements and provide instant feedback on every detail. 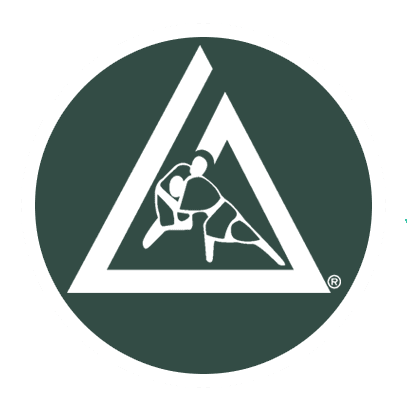 While Gracie Jiu-Jitsu is the one martial art that anyone can learn, many techniques still require some modification to fit the abilities of each student. In private lessons, your instructor will help you discover your “game” – the specific style of jiu-jitsu that best suits you – so that you can maximize your proficiency based on your age, weight, height, and athletic abilities (or lack thereof). Each Gracie-certified instructor has a unique style developed and refined over many years of teaching and training. In private lessons, you may learn your instructor’s secret techniques as well as key strategies that are often overlooked, undiscovered, or simply too complex to teach in a group class. SCHEDULE YOUR FIRST PRIVATE CLASS TODAY! If you’re eager to learn Gracie Jiu-Jitsu, and you want to do it in the most efficient way possible, private training is the way to go! To take your first private lessons, simply contact us using the form below or call us directly at (831) 332-9876.